Nothing required greater craftsmanship than the building of stone bridges: a difficult and at times dangerous work. The Peloponnese is renowned for its characteristic architecture: strong fortifications—symbols of power—that crown the hills of its towns, stone-built houses with tiled roofs, churches and monasteries, arch stone bridges, not to mention the many preserved masterpieces of Greek architecture from the medieval and Byzantine era. Those distinctive built forms, spread loosely across the region, largely attest to an “architecture of use”; where aesthetics and functionality blissfully coexist. During the Turkish Rule, the term “Mastorochoria” [translated into “The Craftsmen Villages”] appeared. It referred to several mountainous villages located in admittedly the barren and rugged parts of central Peloponnese, whose populations could not live off the land. It was that scarcity of natural resources that prompted the villagers to resort to the profession of building in order to ensure their survival. 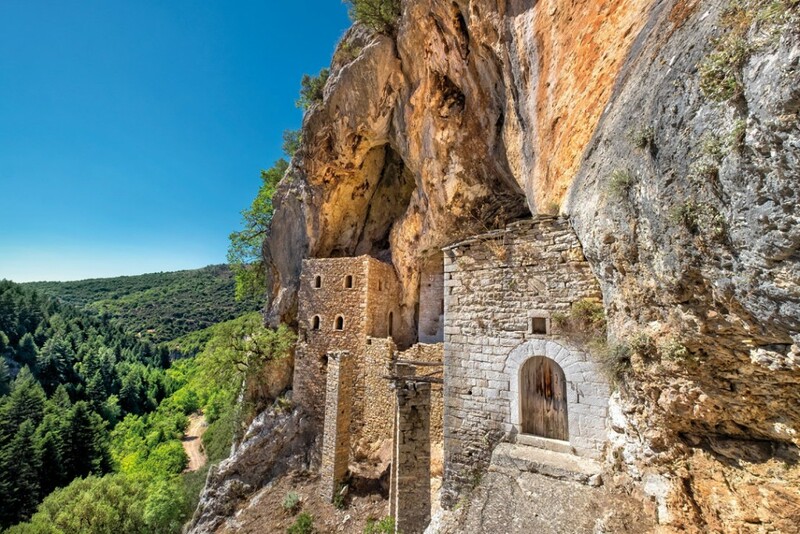 Three villages claimed credit for mastering the art of stone building: Tsakonia (in Kynouria), Kloukinochoria* (in Kalavryta) and Lagkadia (in Gortynia); all located in areas of high altitude. The most known was the village of Lagkadia, also known as the “hanging village”, with its three-storey houses built in the 13th cent. on a steep slope of mountain Mainalos. By the end of the 19th cent., the self-taught, highly skilled Lagkadian builders had managed to dominate the whole of the Peloponnese with thousands of buildings bearing their mark. Their talent and technique in the carving of the stone had made them famous not only in the territory, but all over Greece, where they travelled to built villages, bridges and churches. *The craftsmen of Kloukinochoria lost their privilege in 1890, when they resettled in the coastal part of Achaia to become land workers; an apparently more lucrative profession. A typical building assignment would require a crew of approximately 10 craftsmen, 10 apprentices and 10-15 animals, mules and donkeys, that would carry the basic materials—sand, water, stones—and the tools. First priority was for those lower in rank to head out to the Arcadian mountains to retrieve the stones needed for the construction. The team would then travel on foot for several days. Once they had arrived at their destination, their employer would initiate the foundations of the building by killing a rooster for good luck. The head-builder would negotiate the price to include or exclude food for the crew, that would work for days on end to deliver the project on time. Upon finishing the construction, the crew would place a wooden cross on the roof and wish the owner of the building well. 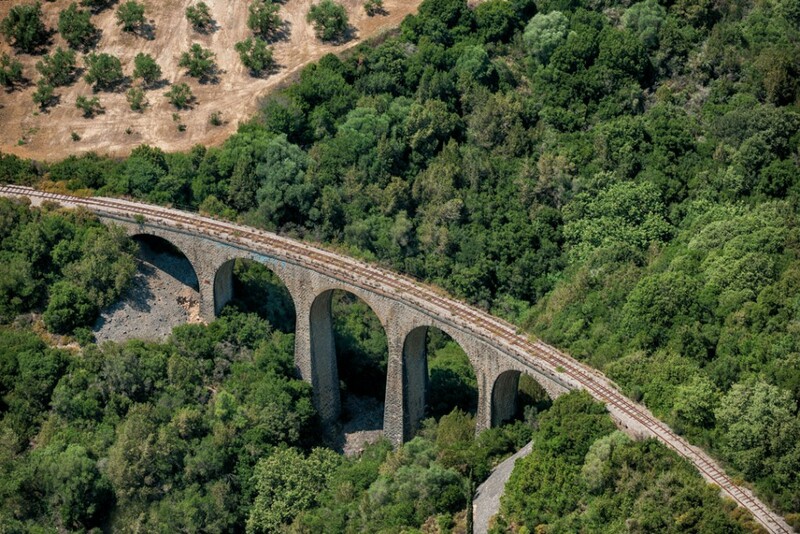 The building of an arch stone bridge was a well thought-out undertaking, from start to finish. In order to decide on its location, the craftsmen had first to examine the stability of the ground for the foundations, find the narrowest passage of the river and take into account the direction of the road it would facilitate. Although the foundation and the building of the arch were the most difficult parts of the construction, the choice of the season was often the determining factor, given that the success of the project relied heavily on the water level, the currents and the unexpected floods. The construction would start from both sides of the arch with two crews working simultaneously and sometimes alternating. As they would slowly move toward the top of the construction, they would place the keystone in the middle of the arch which would hold the bridge together and prevent it from collapsing. Bibliography: Constantinopoulos, C. (1987), The internship in the companies of builders of the Peloponnese. General Secretariat for Youth.